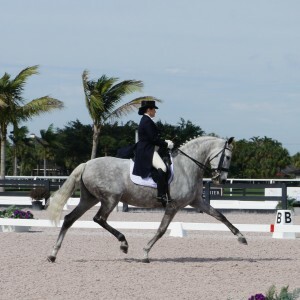 Owned by Pam Nelson, Cantabrica is an exceptional Andalusian mare by Gaucho III. 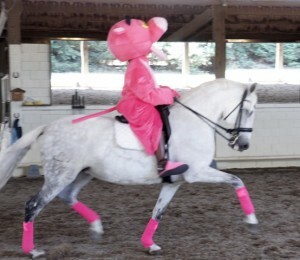 She is also the Pink Panther's mount in the Cat Squad. She has shown through PSG in Wellington and is the mother of Bodacious VR and Bonito VR.